DT Project for 49 & Market "Moments"
Hi crafty friends, I'm here to share my project using the beautiful Bold and Beautiful collection. I started with "Love Shadows" paper for my base and used texture paste and a stencil to start my layout. Then I added some trim, cheesecloth and fiber to start my layering. I also used my metal dies and cut shapes out from "The Lovely" paper. I began to create my design and started adding flowers, Dusty Attic chipboard, Lasercut shapes and Jute Cording. Once everything was in place and glued down I added a few accents art stones, microbeads and seed beads then flicks of white acrylic paint. The Bold and Beautiful collection has an amazing range of papers and I loved creating with this collection. Thank you for stopping by 49 and Market and Happy creating! 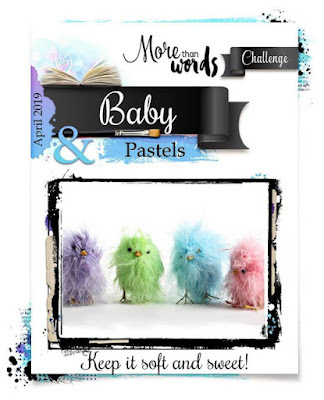 Hi Crafty friends just a quick share for a layout I created for More Than Words Challenge Baby and Pastels! 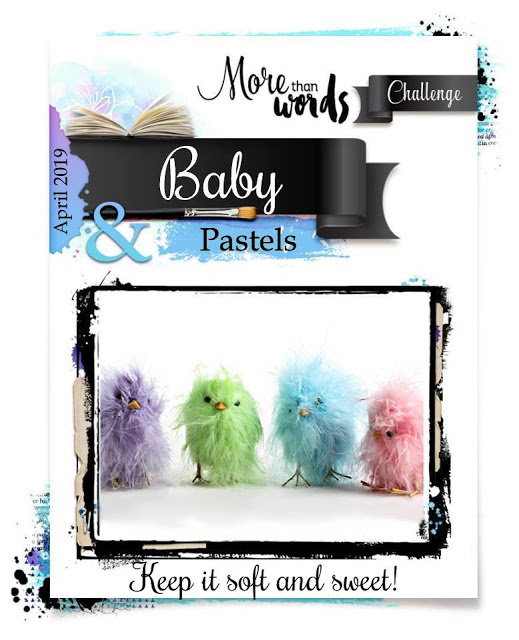 I was inspired by Baby to go shabby and soft with my colors creating a layout of my sweet baby girl! My colors are very soft and light. These papers inspired me to pile on the layers! I created this layout using lots of ReneaBouquets! 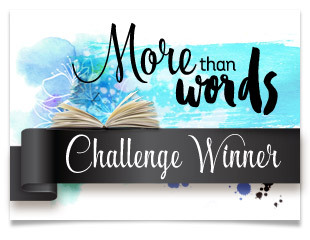 Thank you for stopping by and be sure to check out More Than Words Challenge! 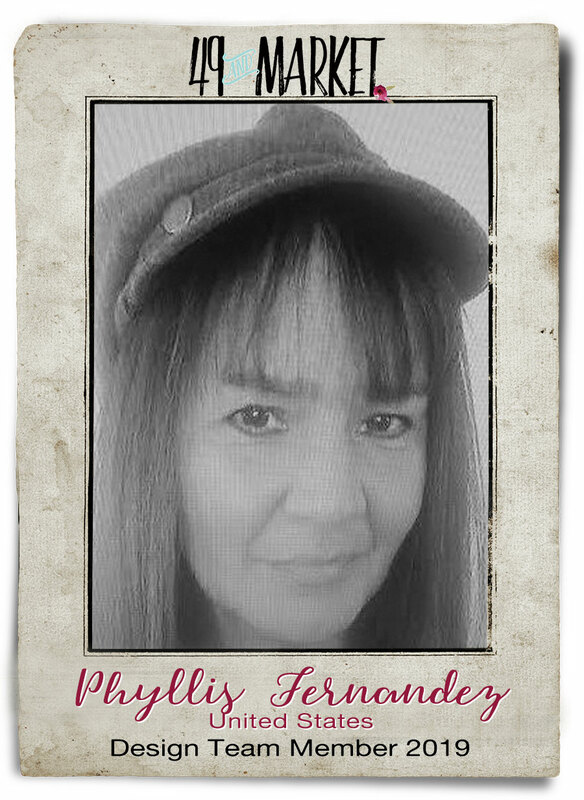 Hello everyone Phyllis here to share my latest layout using the beautiful papers from Vintage Remnants collection. I started with texture paste, glitter and acrylic paint thru a stencil for texture. Then I used some ink spray to add alittle more pink to my background. Once the mediums were dry I used my distressing tool to shabby up the edges. Next I grabbed flowers from Vintage Shades "Potpourri" and "Ecru Blossoms", Garden Seeds "Sandcastle" and Stargazers "Cashmere", these were perfect colors for my design! I started layering my design with diecuts, Laser cut shapes, flowers and chipboard from Dusty Attic. Once everything was in place I glued it down and then added some Art Stones, Microbeads, shard Glitter Glass and Flicks of acrylic paint to complete my layout. I hope I've inspired you to create something beautiful using 49 and Market! Thank you for stopping by! Vintage Remnants "Paper No. 4"
Bold and Beautiful "Garden Letters"
Laser cut Shapes Frame sets "No. 1 and No. 2"
Vintage Shades "Potpourri" and "Ecru Blossoms"
Hi Scrappy Friends, Phyllis here to share my Fanasty "Spread Your Wings" Layout using lots of produst from 49 and Market! I created this layout for More Than Words March 2019 Challenge Fanasty and Wings. For my background I used "Paper N. 03" from Vintage Remnants collection and created some texture and color using some mixed media products such as texture paste and acrylic paints. I then ink stamped using "Gabi's Texture Stamp" and "Vintage Remnants Doily". The Word Fanasty inspires me to create a magical themed layout. 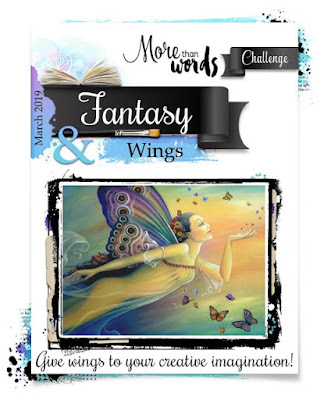 For the creative challenge I used chipboard, Dragonflies and Butterflies from Reneabouquets for Wings spread out on my layout! To my design I added Laser Cut Shapes from Vintage Remnants N. 01 and N. 04 Frame sets for layering. I also used "Tropical Paradise" Laser Cut Shapes. I grabbed the beautiful "Sky Blue" Stargazer flowers and "Sandcastle" Garden Seeds for more dimension. In completing my layout I added some chipboard pieces, Dragonflies and Butterflies from Reneabouquets, they were the perfect touch I needed to finish this layout! I love creating lots of layers and 49 and Market helps me achieve it using Laser Cut Shapes, Flowers and papers. Phyllis here today and I'm super excited to share my first DT project for 49 and Market. I was so inspired by all the beautiful papers, flowers, stamps, diecuts and chipboard I decided to go for a soft vintage feel for my first layout. For my background base I used "To the Point" from the Bold and Beautiful collection. I created some texture using a stencil and texturez paint, this always helps me start my design. I ink stamped with "Tickets & Numbers" and "Form Stamp". For all my layering elements I used Laser cut sheet "Dandelion Fields" and Laser cut shapes "Vintage Remnants". For some soft pops of color I chose flowers "Peach Sorbet" and "Cashmere" stargazers, "Vintage Shades Potpourri"-Yellow, this combination was perfect! For those little details I added some Jute Cord-Single ply and Burlap Ribbon Roll trim, I just love using as many elements as I can to my layouts! And of course I had to use some Laser cut shapes archival board from Memory Captured and Happy Moments. Once I had my design laid out I glued everything and then added art stones, microbeads and some seed beads and then finished off my layout by flicking some acrylic paint. Hey crafty friends it's been awhile since I've posted here! 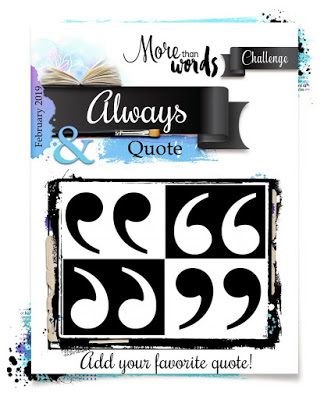 I finally had a chance to join in on More Than Words February Challenge! I created a layout using Mintay Papers! I used to word ALWAYS in my quote. I would like to think I ALWAYS use lots of embellishments and dimension for my layouts! My quote is "Today is a Gift, Always Sprinkle Kindness". I hope you had a chance to join the challenge! Welcome to my blog! Scrapbooking is my passion! I love to see my ideas and creations come to life in scrapbooking. 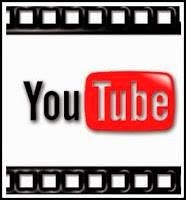 My blog is a place to showcase some of my albums or pages.